You are here: Home / Shop / Greeting Cards: Cherish The Earth / Mother and daughter in the remote Himalayan region of Zanskar, India. 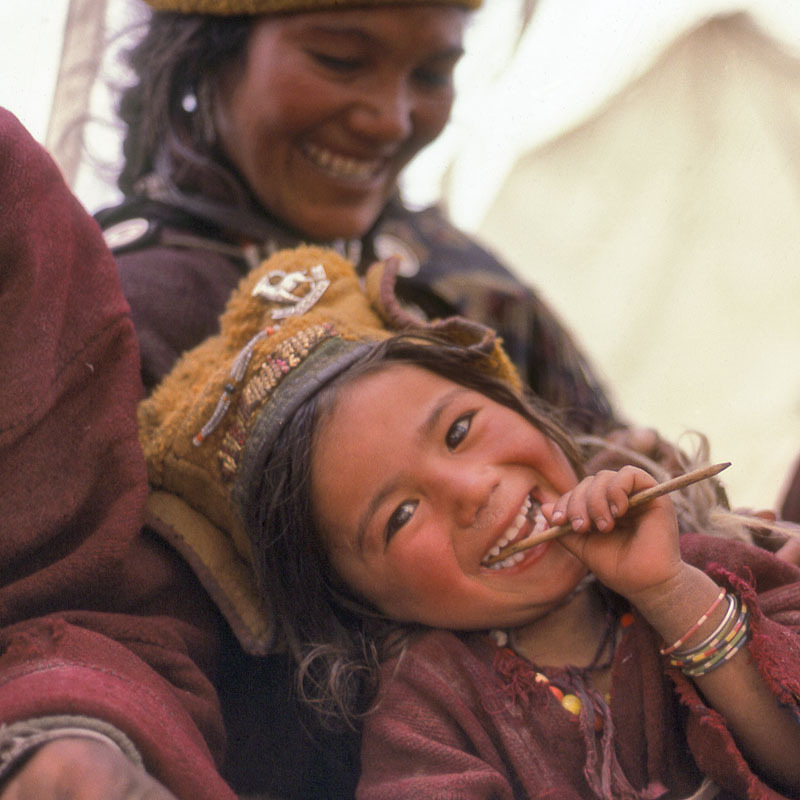 Mother and daughter in the remote Himalayan region of Zanskar, India. The remote and isolated Zanskar region close to the Tibetan border in the western Himalayas has a predominantly Tibetan Buddhist culture. Snowbound for many months of the year, Zanskaris are hardy, warm-hearted and resourceful, essential qualities for survival in a challenging, high altitude environment. Ancient woodland on a May morning, England. Wood anemone after rain, Northumberland National Park, England.